Netflix has made an announcement that will have you dancing in fountains and reaching for the biggest cup of coffee in the world. Have you ever spent minutes (or heck, hours) on end scrolling through the countless number of movies and TV shows available to watch on streaming and found nothing that interests you? Well, Netflix is about to make your day. 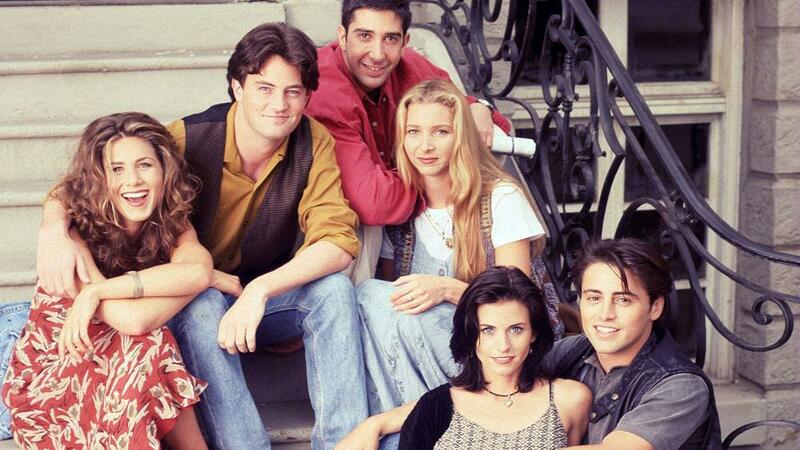 Twenty years after it first aired on NBC and became a mega-hit, Friends is now heading over to Netflix. The network has announced that, for the first time ever, all 10 seasons of the hit show will be available to stream on Netflix in the US and Canada. The fun begins on New Year’s Day, Jan. 1, 2015. Releasing the series on New Year’s Day is perfect for a few reasons. First, it’s just a great way to start the new year, but also most people will be off work, which will allow fans to binge-watch in their jammies while recovering from the revelry of the night before. Friends 20th anniversary GIFs: How you doin’, Smelly Cat? In fact, Netflix had probably better make sure that they have a bunch of backup servers on hand for the mad rush of people who are going to be watching the show as soon as it appears in their streaming lists. Otherwise, Friends fans might end up breaking the internet. With no sign of a Friends reunion on the horizon, watching the show over and over again on Netflix might be the only way for fans to get their fix of Ross, Rachel, Joey and Chandler. Want more reason to dance? Check out this video released by Netflix to celebrate Friends coming in January. It features The Rembrandts singing the theme song with Gunther dancing along. We bet that it will probably give you an earworm, but as Chandler would say: Could it be more worth it?